Professor Frank heads the division Food Biofunctionality at the Institute of Nutritional Sciences at the University of Hohenheim. He is the vice dean of the Faculty of Natural Sciences and vice director of the Food Security Center at the University of Hohenheim. His research interests lie in factors that determine the absorption, metabolism, and elimination of the different vitamin E congeners and phytochemicals (such as curcuminoids and flavonoids) and in developing novel strategies to overcome the low intrinsic oral bioavailability of phytochemicals, as well as in understanding the biological activities of these potentially health-beneficial bioactives. Professor Frank, together with his colleagues Profs. 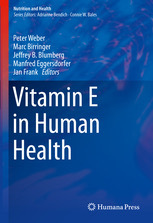 Weber, Birringer, Blumberg and Eggersdorfer, edited a book on the role of vitamin E in human health, which was published by Springer in April 2019. The comprehensive book comprises 31 chapters describing the state-of-the-art knowledge around vitamin E, from the history of vitamin E research and metabolic and physiological basics to the roles of vitamin E in the prevention of diseases and dietary choices of consumers. 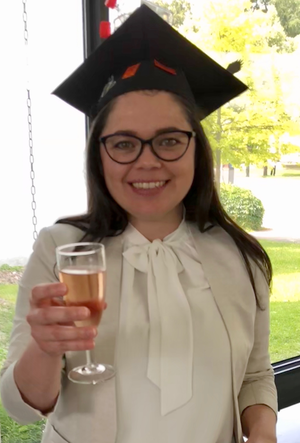 who gave a brilliant presentation and succesfully defended her Ph.D. thesis on March 15, 2019. Monika Kovacsics and her camera team filmed in our laboratory and interviewed Prof. Frank about his curcumin research for the tv program Odysso. The piece was aired on SWR September 20 at 21:00. The media stream is available here. 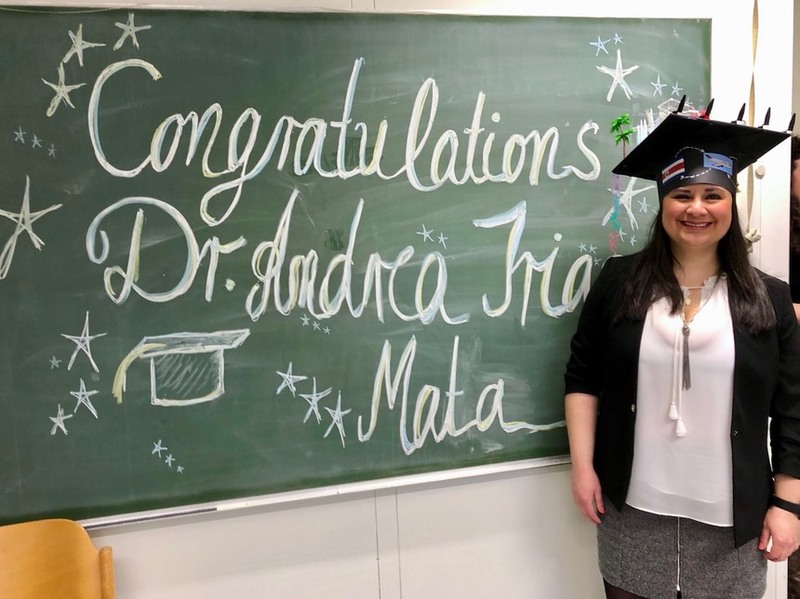 who succesfully defended her Ph.D. thesis on June 15, 2018. Are € 2.77 per day enough to provide a healthy and balanced diet for a child? 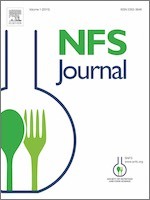 NFS Journal is the new peer-reviewed, open access scientific journal published by the Society of Nutrition and Food Science in cooperation with Elsevier. Submit your work to NFS Journal to receive global visibility of your research. The open-access journal features a new article format Registered Reports, which allows researchers to submit their innovative hypotheses and experimental procedures for testing them, and have them evaluated by members of the editorial board and outside expert reviewers before they begin their laboratory work. This creates the opportunity to receive feedback from peers, correct mistakes and optimise experiments, which in turn enhances the quality of the generated data. If the pre-registered hypotheses and procedures adhere to the highest scientific standards, are positively evaluated by the peers, and the registered procedures are followed strictly, the acceptance of the Registered Report is guaranteed irrespective of the outcome of the study, thus eliminating publication bias once and for all. When analysing your data, you may discover novel aspects that are exciting, but were not part of the pre-registered procedures. In order for authors to react to such unforeseen and exciting results and to explore new paths that have not been anticipated, it is possible to include additional exploratory analyses in a special section of the Registered Reports. α-Tocopherol transfer protein does not regulate the cellular uptake and intracellular distribution of α- and γ-tocopherols and -tocotrienols in cultured liver cells. The oral bioavailability of 8-prenylnaringenin from hops (Humulus lupulus L.) in healthy women and men is significantly higher than that of its positional isomer 6-prenylnaringenin in a randomized crossover trial. Natural 6-hydroxy-chromanols and -chromenols: structural diversity, biosynthetic pathways and health implications. Tocopherols, tocomonoenols and tocotrienols in oils of Costa Rican palm fruits: a comparison between six varieties and chemical vs. mechanical extraction. Validation of a rapid and sensitive reversed- phase liquid chromatographic method for the quantification of prenylated chalcones and flavanones in plasma and urine. Dietary flavonoids and modulation of natural killer cells: Implications in malignant and viral diseases. The long chain α–tocopherol metabolite α-13’-COOH and γ-tocotrienol induce P-glycoprotein expression and activity by activation of the pregnane X receptor in the intestinal cell line LS 180. Planet Wissen: Vitamine - wie viele brauchen wir wirklich? Professor Frank was invited to appear as a nutrition expert on the German TV program planet wissen. Our paper The oral bioavailability of curcumin from micronized powder and liquid micelles is significantly increased in healthy humans and differs between sexes was the article with the most downloads from the website of Molecular Nutrition and Food Research in 2014 and therefore selected as the journal’s Paper of the year 2014. Even in the years 2015 and 2016, the paper remained at the top of the list of highly accessed articles published in Molecular Nutrition and Food Research and led the list again in 2017. In this article, the lead authors Christina Schiborr and Alexa Kocher report the results of a crossover human trial identifying micellar solubilisation as a technique to increase the oral bioavailability of curcumin 185-fold over native curcumin.